We’re back. The weather is beginning to turn. We’re almost there. 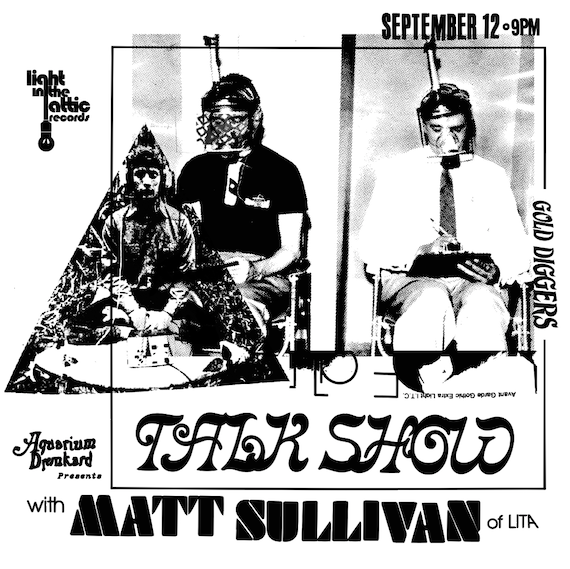 Welcome to the September edition of the Transmissions podcast. 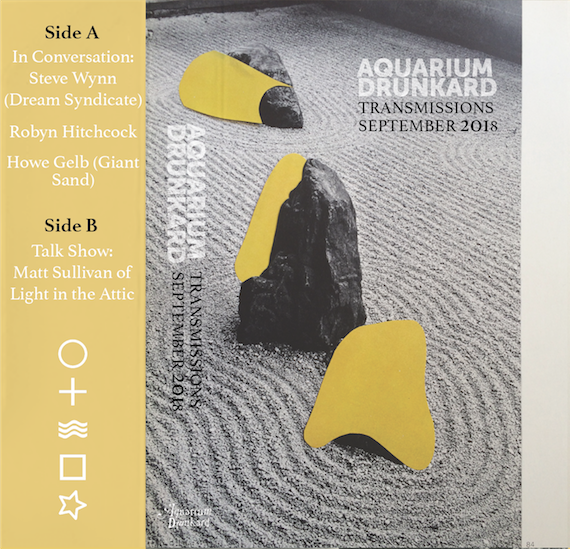 On this episode, we sit down with three legends of independent music: psychedelic singer/songwriter Robyn Hitchcock, Giant Sand leader Howe Gelb, and Steve Wynn of the Dream Syndicate. Since emerging in the ‘80s, they’ve amassed incredible catalogs, and they’re all still making vital and poetic records. We spoke earlier this month at HOCO Fest, a multi-day festival in Tucson, Arizona. Sitting down at the KXCI studio at Hotel Congress, the three riffed on their years making music, how their sounds have evolved over the years, and what a lifelong commitment to making art looks like. But first, our conversation with Matt Sullivan of Light in the Attic Records, one of our longtime favorite reissue labels. We spoke live at Gold Diggers in East Hollywood as part of our Talk Show series – a set of live conversations centered around the worlds of music, art, film and beyond. LITA has released records by Rodriguez, Betty Davis, Lee Hazlewood, Jim Sullivan, Serge Gainsbourg, and has launched expansive archives like the Native North America and Japan Archival projects. How did Light in the Attic get started? Live on stage at Gold Diggers, Sullivan explained it all. 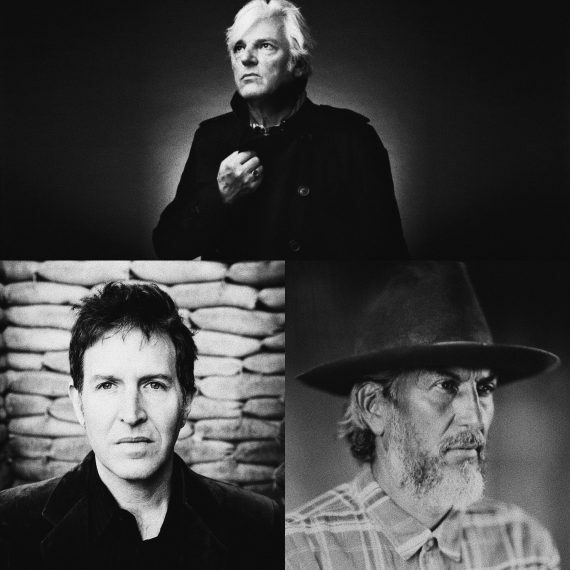 Howe Gelb, Robyn Hitchcock, and Steve Wynn write very different kind of songs. With his band Giant Sand, Howe Gelb pens strange, dusty songs about love and the desert; Both solo and with his Paisley Underground pioneering band the Dream Syndicate, Wynn composes driving minimalist rock sagas. And after emerging from the UK punk scene with the Soft Boys, Robyn Hitchcock has embarked on a career full of wry and funny songs that skewer pop conventions. All three are vastly different songwriters, but nonetheless, they feel connected as well, keeping one foot in psychedelic experimentation, the other in classic, well-burnished songcraft, with references to jazz, blues, folk, and country. This month, they performed at HOCO Fest in Tucson, Arizona, a place where they all share considerable history, and we decamped to the KXCI Studios at the historic Hotel Congress to discuss their shared, and diverging, paths.